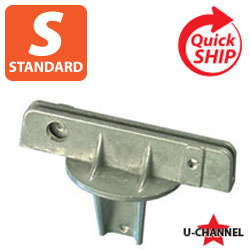 Standard brackets are designed for street name sign blades up to 6" tall; typically used in neighborhoods with speed limits of 25 MPH or under. 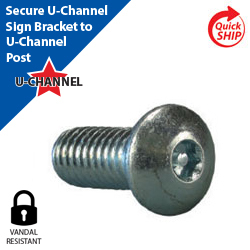 Hardware: This bracket comes individually packaged in a plastic bag with the hardware pre-inserted in bracket to attach bracket to sign and bracket to post. Vandal resistant hardware upgrades are available. 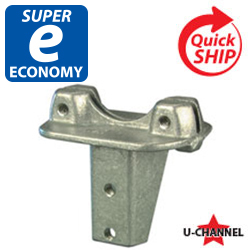 Compatibility: This bracket is designed for use with all U-Channel posts. MUTCD Guidance: Recommended for street name flat sign blades no more than 6" tall. Not recommended for 9" tall or larger street name signs. 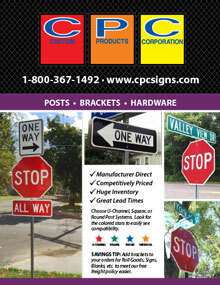 Jumbo brackets are available for larger signs. 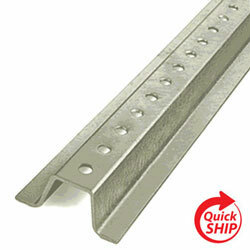 Installation Notes: Brackets must be installed with appropriate hand tools. Power tools such as drills and impacts should NOT be used. 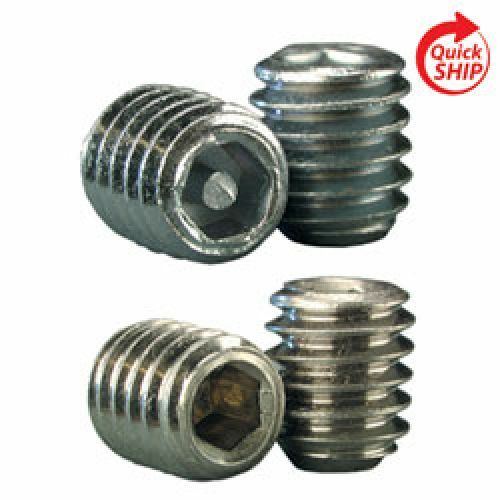 Power tools cause over tightening, which in turn, causes bracket failure. Returns or exchanges are not available if power tools have been used. 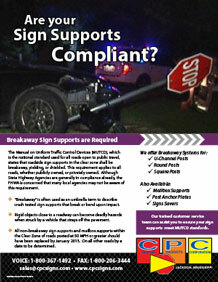 NOTE: Available in box quantities by calling customer service at 1-800-367-1492.